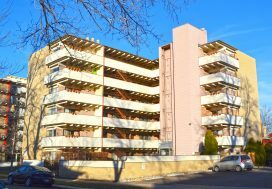 Signing a lease is a big responsibility, and choosing the right space in Denver can make or break your business. 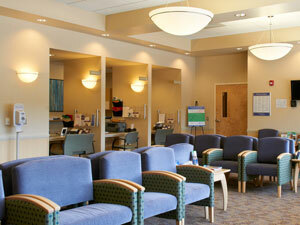 Picking the right medical office can be even more difficult than just finding general commercial spaces. 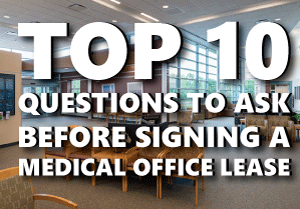 Use this guide to learn the top 10 questions you need to ask before signing a medical office lease. The first thing you want to know before signing a medical office lease is how long the terms are going to be. You may be able to negotiate, but in some buildings, the terms are essentially set in stone. If you can’t commit to the initial lease length, you may need to find a different space. 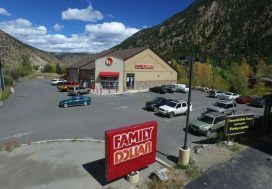 You need to know how long your initial lease will be before moving into any commercial building, but you also need to know what options you have when the lease is up. Can you renew for the same price or an adjusted price, or will the landlord be able to charge whatever he or she wants? Your monthly rental payment is obviously a factor when choosing space. There’s more to rental payments than just how much you pay in cash though. Learn about payment terms and do your homework to make sure you’re getting a deal you consider fair. Tenants often pay a portion of larger electrical, heating, cooling and other utility bills, but in the real estate world today, there’s no standard setup anymore. Ask about utility payments and try to get an average for the building to see how utilities will impact overall costs. As a medical professional, you likely have some hefty insurance payments already. Depending on the building you move into, you may have to pay a considerable amount just for being in your new space. Ask about insurance in your building and if the landlord will foot the bill. In some lease agreements, maintenance falls solely on the tenant. While that might be OK with you if you’re getting a good deal on rent, you need to be clear about the terms before you sign a lease. Who Else is a Tenant? The tenants above, below and beside you can impact you work environment. Find out who your neighbors are before moving in. Running a medical practice can be delicate business and you may not want a gym above your space. Ask about who can move in, and who can’t, to see if you’re a good fit for a particular building. Improvements can fall on the landlord or the tenant, depending on the lease. Make sure you know the rules before you sign. Move-in dates matter, but not all buildings let you move in quickly. Find out about move-in dates before signing a lease. If you are seeking a medical office space for your practice, contact Unique Properties. 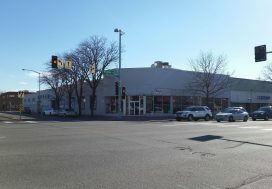 Our experienced, Denver-based team is here to help you with all your commercial real estate needs.